Have you already earned the Lasting Lily, Hello Cupcake, So Hoppy Together or Painted Season Bundle? If so, March 1st you will be able to order the Thinlits or Framelits that coordinate with them. Order quickly as I would hate to see anyone that wants not able to get them if they sell out. 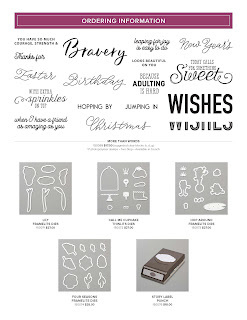 There is also a new Story Label Punch and More Than Words sentiment stamp set. If you haven't been able to get any of the FREE SAB sets yet, you could place an order of the dies and earn the SALE A BRATION SETS FREE. 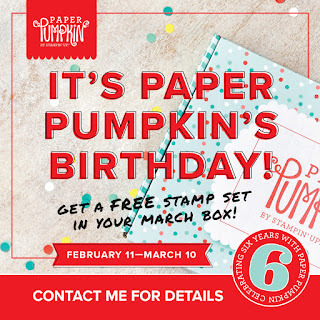 Paper Pumpkin March Birthday Special! Must subscribe before March 10th to get the March kit. March Paper Pumpkin is getting closer. 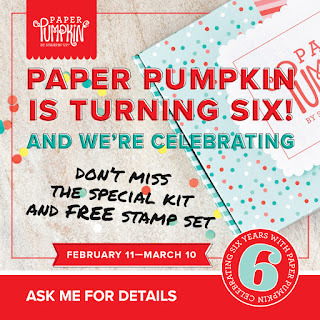 Happy 6th Birthday Paper Pumpkin! 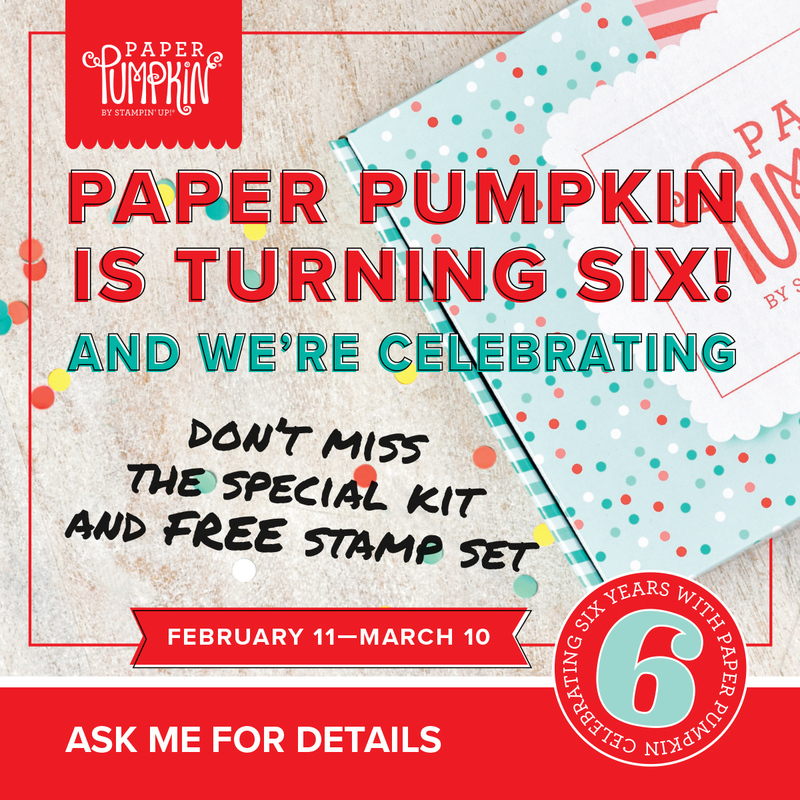 Order yours today and in the March kit you will get an extra Stamp set FREE! One more great deal for ordering a minimum of $150.00 you can qualify for your own party! Then you get Stampin Rewards to go with your order. 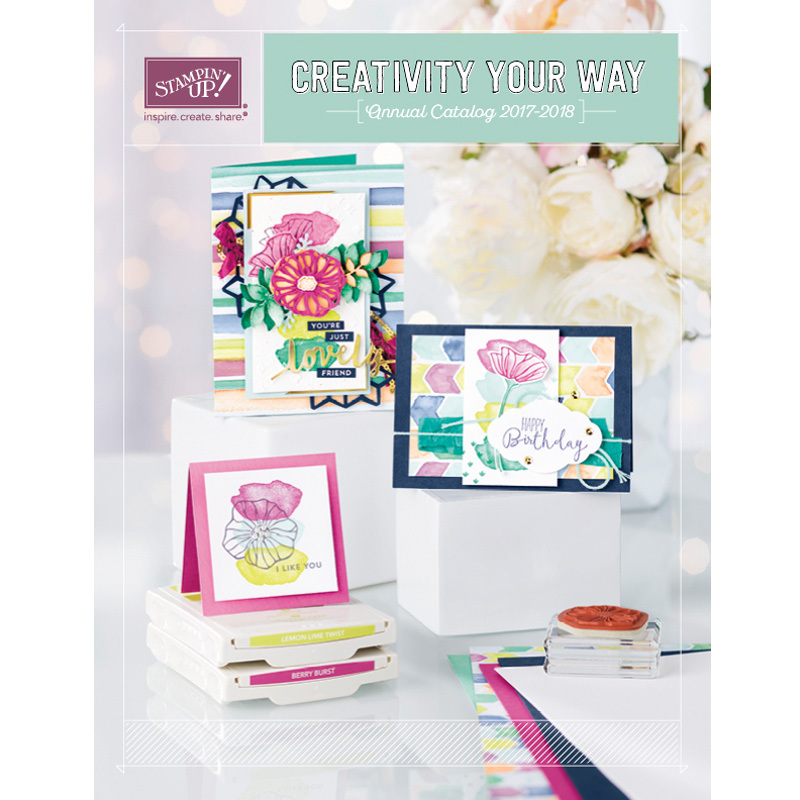 These kits can be a wonderful opportunity of something creative to do with your Kids, Grandkids, friends or even a relaxing creative time for you. Of course if you have any questions please message me. 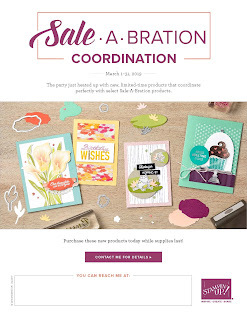 Sale-A-Bration item Precious Parcel Kit (item 149750) has sold out in North America and is no longer available. IF THERE IS SOMETHING YOU REALLY WANT BE SURE TO GET YOUR ORDER IN! Sale a Bration Butterfly Elements going fast. Our inventory for this popular item is not yet completely depleted, but we wanted you to be aware that they are going fast and may not be available through the entire Sale-A-Bration period. These wooden Butterfly Elements are going fast. These are free with a qualifying $50.00 order. All SAB items are now on while supplies last so don't wait if there is something you really want. I do have an open hostess code if you are interested in ordering please use it NFKT4BXW. 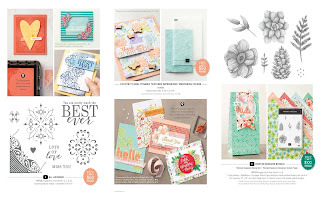 Introducing the All Adorned Sale A Bration Stamp set. FREE? 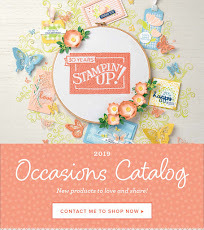 Just wanted to show you a wonderful Video sharing the All Adorned Sale a Bration Stamp set you can get free with a Qualifying $50.00 Stampin Up order. Check out this wonderful set and if you like it and want to get it Free with an order, Just click on the Shop Now Stampin' Up! Logo and use Hostess Code NFKT4BXW when ordering. 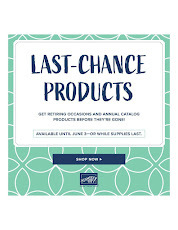 Of course you can always Join My SHE Barn Stampin' Crew as a Demonstrator and get 20% off all that you owrder from SU. 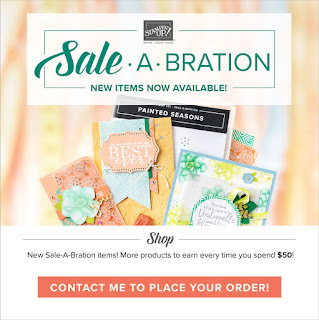 The Sale a Brations Stamp sets, Hello Cupcake, So Hoppy Together, Lasting Lily and Four Seasons will have dies to coordinate with the stamp sets. If you are interested in coming to the Camp you must RSVP with payment to hold you place. We have a max of 12 to be at the class. You can always order kits to be mailed out at with an additional shipping cost or you could pick up the kits. Check it out! I really love the cards that Laura and I have come up with. Laura has joined The SHE Barn Stampin Crew as a New Demonstrator and will be working with me on this camp. February kits are being processed but we have news for March's kit! You MUST subscribe by March 10th to receive March's Paper Pumpkin kit. 2nd Release of the Sale A Bration starts on the 15th of February. Place your order using my Hostess Code NFKT4BXW Or let me know what you need and I can get it placed for you. 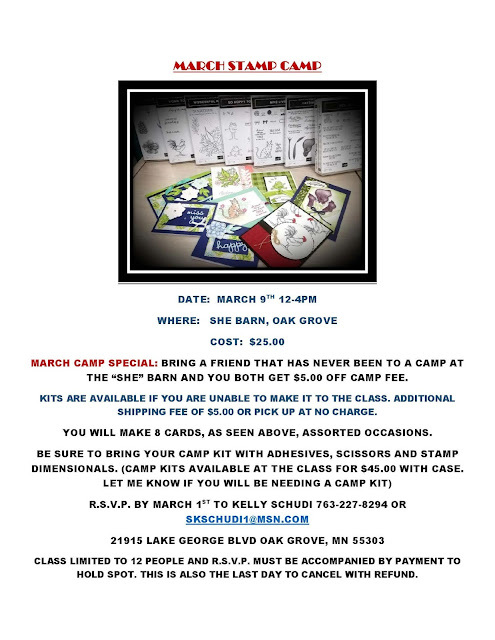 Some of the March Stamp Camp will be using the Painted Season Bundle, so keep and eye out for postings. You can feel free to follow this blog to stay up to date with postings. Check out some of the new Second Release Sale A Bration items! Starts February 15th for ordering. Dies that coordinate with this stamp set will be available March 1st to order. I just love these items. Wish it was February 15th so I can get the Stamp set and DSP paper FREE with a qualifying 100.00 order.